A study that analyses the biodiversity of myriapoda and their habitat preferences in Estonia, has found some species in the country for the first time. Due to its biodiversity and probably a huge number of taxa waiting to be discovered, soil fauna has been called the poor man’s rain forest. If a researcher cannot head for a collecting trip to the tropics straight away, but wishes to discover something new, one can take along a shovel and start digging in the home forest or meadow. Led by scholars from the Estonian University of Life Sciences, a bibliography of faunistic studies on the biodiversity of Estonian myriapoda (a subphylum of arthropods containing millipedes, centipedes and others) was compiled and a related research article was published in the leading zoosystematics journal ZooKeys. The article analyses the biodiversity of myriapoda and their habitat preferences in Estonia. The study is a result of collaboration between the Chair of Biodiversity and Nature Tourism at the Estonian University of Life Sciences and the Tartu College of Tallinn University of Technology. 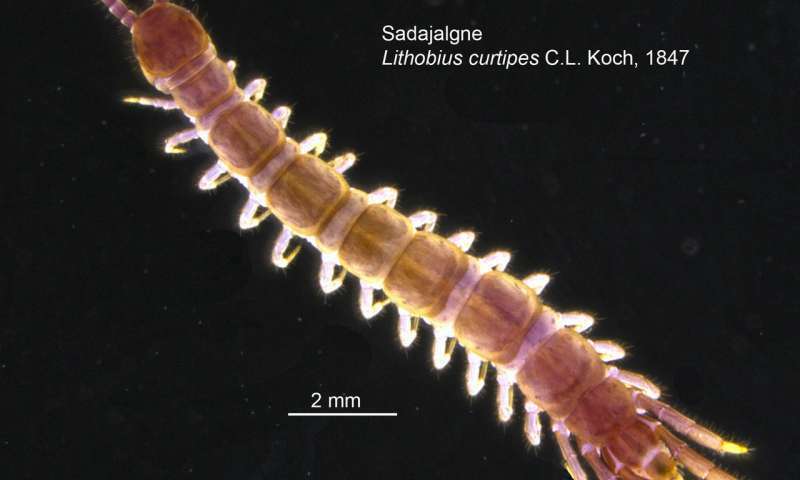 “A significant part of the surrounding biodiversity is invisible to the naked eye and concentrated into the soil, which is habitat for various mites, springtails, myriapods, nematodes, annelids and various other groups of animals,” Kaarel Sammet, a doctoral student, a junior researcher and the leading author of the research paper, said in a press release. He added that most animals in the soil were quite small, which is why studying them requires good microscopes but also previous experience. Taxonomically, the subphylum myriapoda belongs to the phylum arthropoda and they can be both herbivores and saprophages (millipedes, pauropods and symphylans) or predators (centipedes). In the course of about ten years, samples from 300 localities were collected all over Estonia. From the recent material and older material from zoological collections more than 5,700 individuals were analysed. Data from previous publications were critically summarised as well. “A total of 52 species of myriapoda were found in Estonia and 13 species of them for the first time. Six species were found to be at their range limits,” Sammet said. He added that when comparing earlier data with the new ones, changes in habitat or occurrence of several species could be noticed and at least one species has been introduced by humans. Cover image courtesy of the Estonian University of Life Sciences.